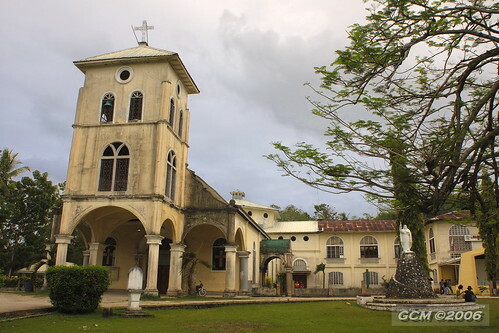 Balilihan Church, the town and parish of Balilihan were from Baclayon in 1829, to make room for Dagohoy’s followers after the revolt, which lasted eight decades, were put to an end by a massive assault by Spanish troops from Cebu. The Recollects administered the parish until 1898. 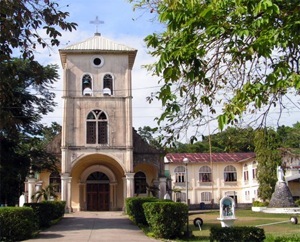 Although Redondo (1886, 177) reports the presence of a tabique church, the present church was probably completed in the early 20th century. The church mentioned by Redondo and renovated in 1889 was razed to the ground by American troops. Heritage Site: The church of poured concrete has a nave divided into three aisles, a portico in front of the façade and a bell tower in front of the portico. The cruciform church dedicated to Nuestra Señora del Carmen has a squat octagonal cupola. The interior is embellished with paintings by Ray Francia, and has altars that combine Corinthian columns, neogothic spires and crockets, Baroque volutes and Art Deco open work. A veritable summary of 200 years of style. On a hill overlooking the plaza is a much older structure. Constructed in 1840 of cut coral the Balilihan bell tower stands at strategic position, which made it a useful sentinel of the Abatan River. Thus it may have function both as a watchtower and as a bell tower. Built in 1840 and located on a hill beside the church, the tower located about 20 kilometers upstream of the Abatan river also serves a watchtower against marauding bands. The church located at the foot of the hill is new, although the parish was founded in 1829. 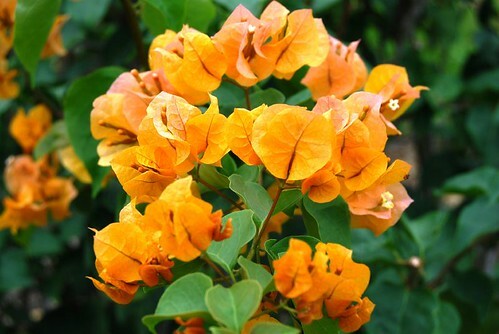 Heritage features: Rising to four stories, with no clear divisions between floors, the quadrilateral bell tower used to be sheathed with cut coral. Its fenestrations are few concentrated mostly on the uppermost floor, where the arched opening are decorated by scroll work and floral designs. The whole structure has a hip roof with wide overhangs, supported by carved corbels. The structure had a tile roof but like the rest of the tower is in disrepair. The bells of the tower have been removed and are in a new bell tower beside the church at the foot of the hill.